Examination entries are due by the closing date in term one or term two. This enables a timetable to be set. Teachers are notified of their examination timetable in the second term. The examination season can be anytime during June/July/August/September. Most examinations take place between late July to early September. Examinations can be scheduled for weekdays or weekends between 9am and 6pm. This will usually be during school hours. It is important that studios communicate this information to their students/parents at time of examination entry. Examination refunds are only possible for medical reasons (see refund policy below). If teachers require dates to be avoided (due to other examinations or eisteddfod clash) then this must be specified on the exam entry form. Requests can be considered but not guaranteed due to the number of studios and regions which need to be accommodated. If a student has travel commitments or possible event clashes during the examination season, we recommend you enter the student as a late entry (once your examination dates have been finalised) to avoid forfeiting the examination fee, due to withdrawal, if there is a conflict with dates. Entries are required by the closing due date (1st April for June examinations, 1st May for July/August/September examinations). Students are entered in height order, shortest to tallest. Examination mark forms are created from this information. All data is pre-populated in the system, therefore it is imperative that the correct spelling of student names is entered by the teacher. All data entered by the teacher will appear on student reports and certificates. Any replacements required due to teacher error incurs a reprint/postage charge. Student entries cannot be replaced by alternative students if a candidate withdraws. Late examination fees: NZ/AUD$10 per late entry. It is fair and reasonable for studios to charge an additonal exam-related fee to their clients. The purpose of the fee is to cover entry administration, staffing during examinations, examiner local transport to and from the studio, examiner hosting responsibilities (provision of lunches and refreshments) and in some studios, mock exams. An administration fee can vary from school to school and is at the studio owner's discretion. It is fair and reasonable for studios to charge an additional exam-related fee to their clients. The purpose of the fee is to cover entry administration, staffing during examinations, examiner local transport to and from the studio, examiner hosting responsibilities (provision of lunches and refreshments), and in some studios, mock exams. A recommend administration fee is $5-10 per entry and at the studio owner's discretion. Small numbers of late entries will be accepted subject to timetable availability (late entries can only be accepted if they fit within the timetable provided). An additional late fee is required. Entire school entries cannot be entered as late entries. The late entry deadline date is generally one month after the general entry closing date. Communication with registered studios is via email therefore it is imperative that any change in studio email address details are notified immediately. Examination refunds are given on receipt of an original medical certificate. This must be provided within 30 days of the examination date. It is important that this policy is communicated to students and parents at the time of entry. Refunds are not given for lack of attendance for any other reason. A $10 administration fee is deducted from refunds. Students are permitted to sit more than one examination in an annual session but this must be pre-approved by the Asia Pacific Dance Association. The student will then be timetabled to sit the lower examination level first. They must pass this level to sit the next level. Students can enter the syllabus and sit examinations at any level up to, and including, Advanced Jazz One. From Advanced Jazz Two students must have sat and passed the previous grade to move up to the next level (ie. no student is permitted to start at Advanced Jazz Two or Solo Seal without having sat and passed Advanced Jazz One). A heater and jug of water should be provided for the examiner throughout the duration of exams. All mirrors must be covered. This includes mirrors on rear and side walls. All viewing windows must be covered so outside sources are unable to view examinations. Music must be cued and back-up music is highly recommended. The music operator must not talk or have any interaction with the students. If the music operator is a teacher, then a screen between the teacher and students is compulsory. Candidates are to enter in groups of no more than eight students (four for Advanced grades). Group numbers will be scheduled in your timetable. Candidate number one should be standing on the Examiner's left hand side. This enables the Examiner to mark from left to right. Candidates should be lined up in height order with the number one candidate being the shortest and number eight the tallest. The shorter candidates should make the front line, taller candidates to make the second line (eg. candidates 1 - 4 in the front line, candidates 5 - 8 in the second line). The Examiner will seek to create an atmosphere that will encourage your students to perform to the best of their ability. Students should be well-prepared to ensure a smooth-running, enjoyable examination. At the completion of the day, if time, the Examiner may be available to go through any teaching points with you. A Teacher Examination Report will be posted or emailed to you as a reference for the next year. This is intended as a helpful guide to further improve your examination preparation. The Examiners have been instructed to mark in accordance with technical requirements for each exercise. Requirements include; placement, musicality, timing, travel, lines and definition, knowledge of the syllabus, focus and performance. All Examiners seek to examine consistently according to the marking structure. Regular Examiner meetings are held to manage this consistency. It is important to understand that the nature of marking certain elements (eg. performance quality), can vary slightly between different examiners and this may be reflected in results. Due to the human element of marking, it is not possible for examiners to mark identically however they will always endeavour to mark as consistently as possible to one-another and in accordance with the marking procedure. The Examiner's decision is final and no correspondence will be entered into. Students who are entered for medal tests are marked with more weighting on performance and style and less emphasis on technical ability. A gold result is an indication that the student should be entered as an examination candidate the following year. A certificate is awarded with the medal result (not a physical medal). The Asia Pacific Dance Association endeavours to deliver examination reports within five weeks of examinations. Certificates follow separately. Any report/certificate reprints due to loss or incorrect spelling of student name/s carries a reprint charge of $5 per document plus postage fee. Jazzaddict encourages adult students to sit examinations and believe that participation in assessments is a valuable goal. It shows belief in their abilities and can be an empowering and positive experience. Adult students are marked less technically than children and teenage students. A candidate over 21 years is classified as an adult. The marking structure takes into account that adults are not always able to meet the physical requirements of some exercises. Turn exercises can be reduced to single turns if necessary. Due to the different marking procedure, adult student results are not taken into account for top mark scholarship awards. The examiner must be collected from their accommodation allowing plenty of time for a prompt start. Examiners require 10 minutes to prepare their computers and spreadsheets on arrival. The first class of candidates should be ready to enter the exam room at the scheduled start time. The studio is expected to provide the examiner with refreshments and lunch. An examiner preference sheet regarding tea/coffee and dietary requirements will be provided prior to examinations. Return transport to the accommodation or airport is to be provided by the studio. Be clearly labelled with an examination number front and back. It is important that teachers have two sets of numbers so that there is no waiting between examination groups. Be well-groomed. Light make-up is permitted but not compulsory. Have hair secured back and off the face. Fringes are acceptable but must be clear of the eyes. Wear appropriate dancewear. Studio uniforms are compulsory. 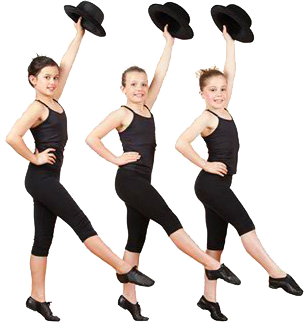 Teachers are permitted to enter preschool examinations and are able to dance and count (if necessary), with preschool jazz candidates. The teacher is not permitted to physically or verbally correct the students in the exam room. Preschool is the only examination/medal test that the teacher is permitted to dance/count with the students. Candidates must enter the room briskly, stand in their positions and greet the examiner - "Good morning/good afternoon.."
Transitions to starting positions should be made quickly and silently. Candidates may ask a question by raising their hand. Candidates may be expected to present travelling steps, amalgamations and dances in groups of two or three (or possibly individually in Advanced levels). Candidates must be able to count themselves in with the music. The examiner or teacher may assist with Primary Jazz One students if this is not possible. Candidates must move back to the centre at the completion of the examination for a bow to thank the examiner. If a candidate does not conduct themselves in the appropriate manner during an examination, the examiner has the right to instruct the candidate to leave the examination. We strongly encourage teachers to conduct mock examinations to rehearse the protocol of examinations thus ensuring a polished, fast and smooth examination. Inhalers and medical requirements are permitted in the examination room. It is advisable to have a box of tissues available in the examination room for candidates with winter colds. Water bottles, knee-pads and towels are permitted in the examination room for students Elementary and upwards. Students should use the bathroom before entering the examination room however, students are able to excuse themselves during the examination if necessary.